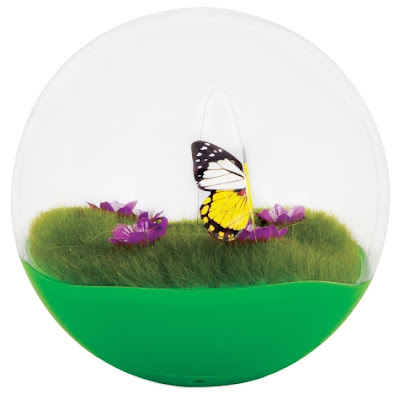 Jackson Galaxy's Butterfly Ball is a mentally stimulating toy that provides your cat with visual entertainment, similar to that of the outdoors, for the ultimate satisfying hunt play. Using sensor-activated action to set the butterfly fluttering within the ball, this playful sphere taps into your cat's natural instincts to observe and track prey. 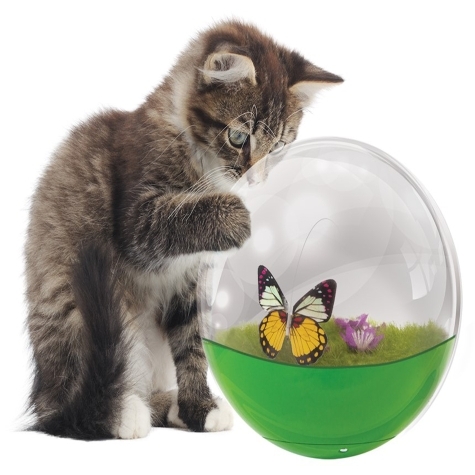 The realistic fluttering will keep your cat engaged and the weighted base provides a fun wobble, while keeping the butterfly upright. Check it all out at Petmate on Facebook, as well as Petmate on Twitter.